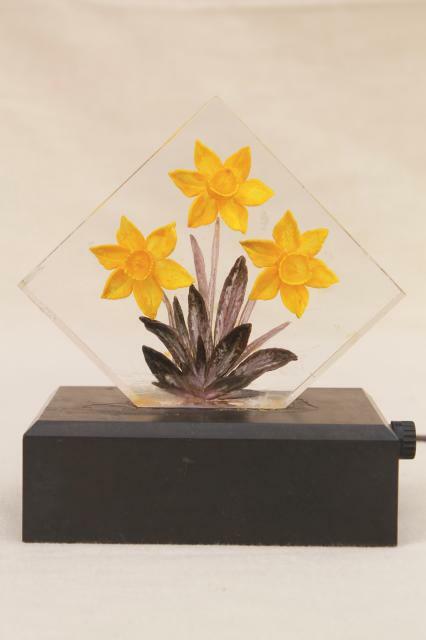 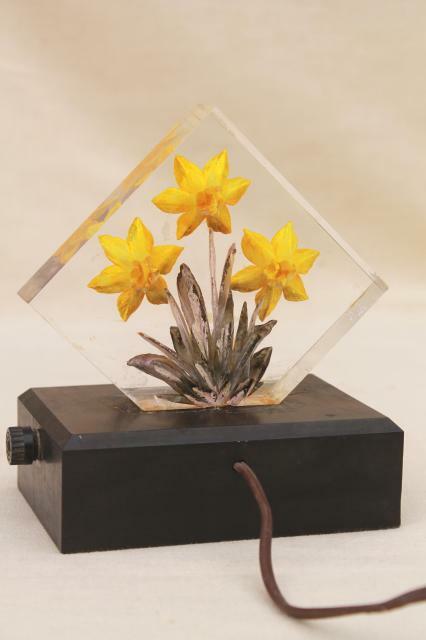 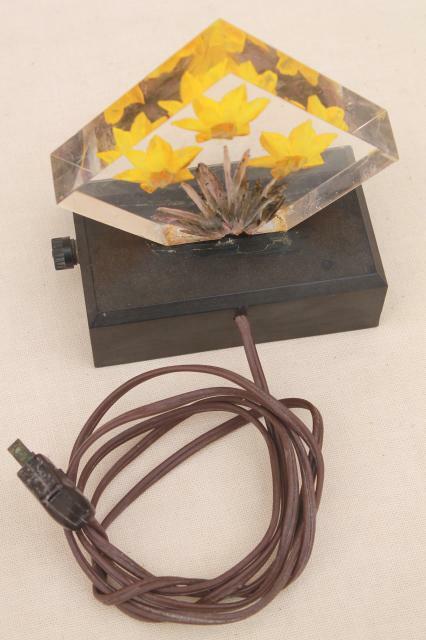 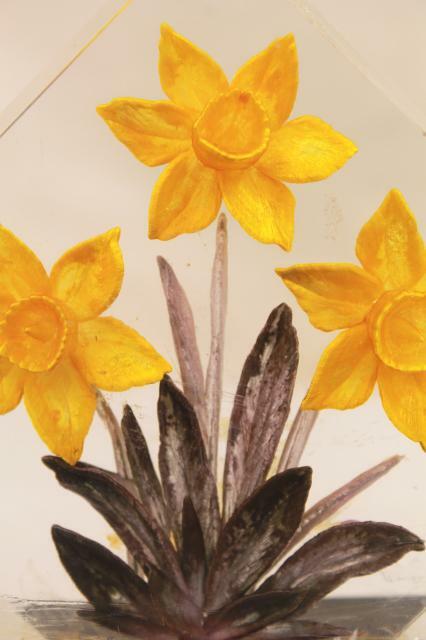 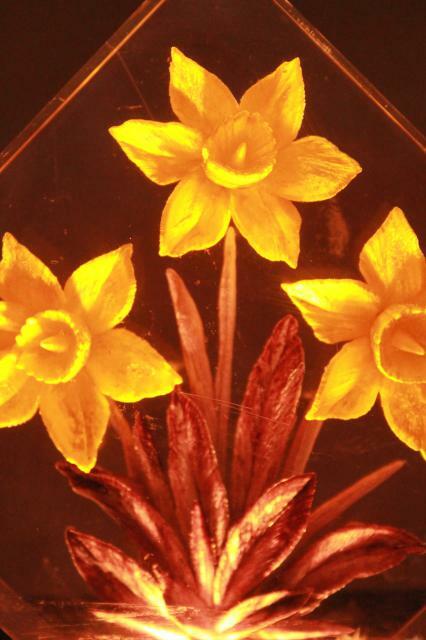 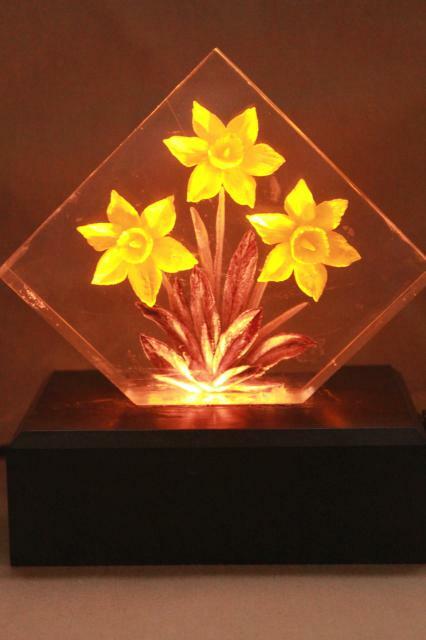 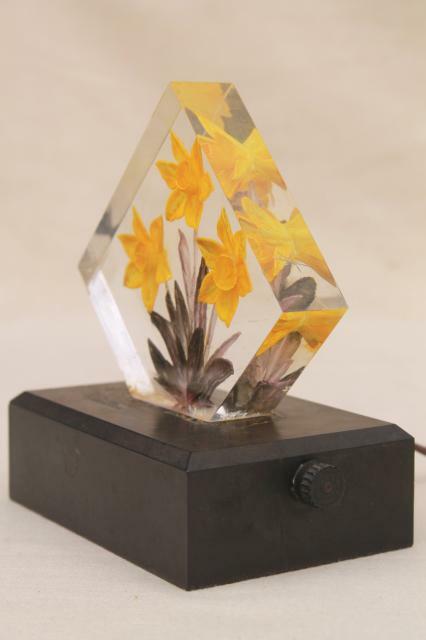 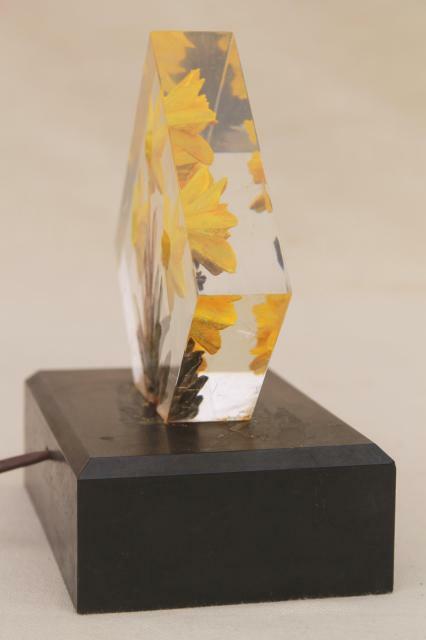 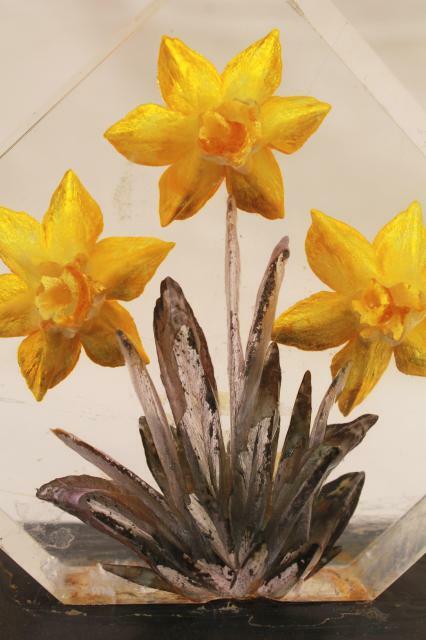 Vintage bakelite base lucite lamp with real flowers encased inside. 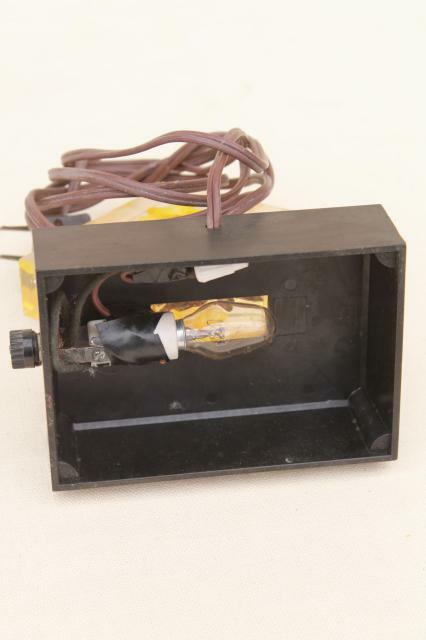 This is probably a TV lamp, we think - it's about 6" tall overall. 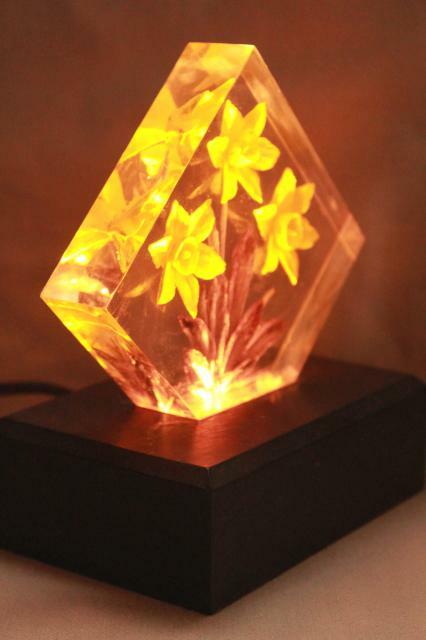 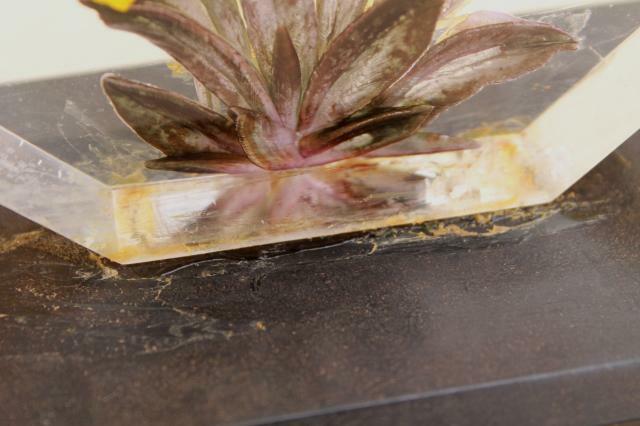 This works just fine, but there's some unsightly old adhesive marks to the lamp base as shown in the photos.